Gasparilla Island Grill is located at Disney’s Grand Floridian Resort & Spa and has recently started serving seven new gourmet hot dogs. Each of which is themed to a different city or region of the United States. Each specialty dog is served on a bun fresh-baked daily by the Grand Floridian Bakery. Let’s take a closer look! 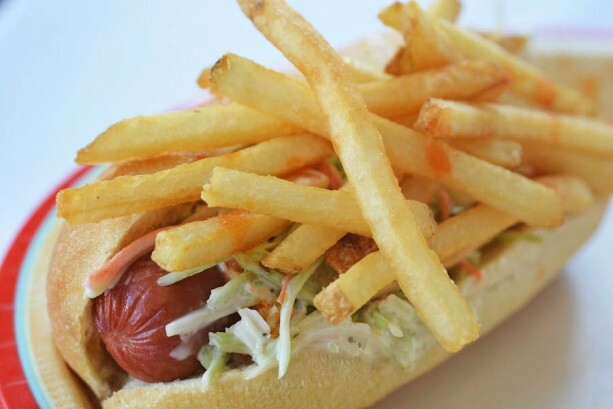 Cleveland – This specialty dog is available on Sundays and is topped with French fries, coleslaw and hot sauce! 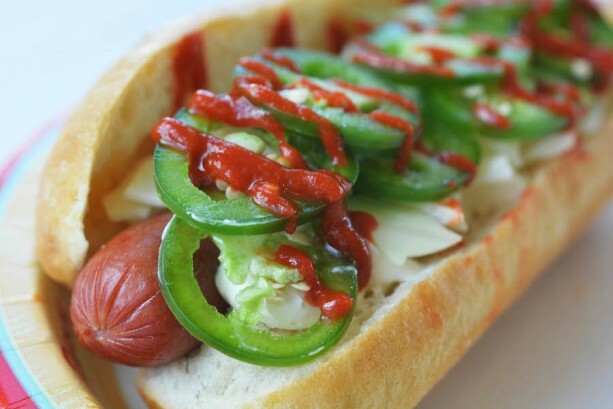 Seattle – This hot dog is for spicy food lovers and is available on Mondays, this is topped with cream cheese, raw jalapeños, chopped cap page and Sriracha. Kansas City – This simple dog is served on Tuesdays with a sesame seed bun, sauerkraut and swiss cheese. Memphis – The Memphis dog is topped with not one, but TWO slices of bacon, barbecue sauce, chopped scallions and cheddar cheese. Look for this specialty dog on Wednesdays! Idaho – On Thursdays, the Idaho dog is served on a baked potato and piled high with bacon bits, chives, sour cream and cheddar cheese. 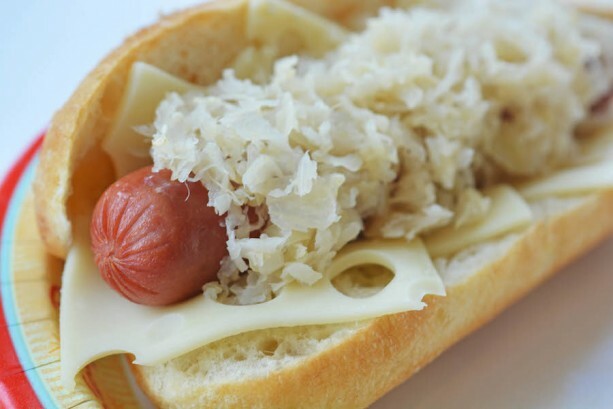 New York – This specialty dog will be served on Fridays, and is topped with mustard, sauerkraut and onion sauce. Chicago – On Saturdays you will find a traditional Chicago-style hot dog. A pickle spear, celery salt, tomatoes, whole sport peppers, chopped onions, green relish and mustard on a poppy seed bun.